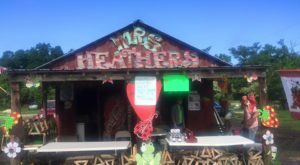 During the summer, the heat in Louisiana can be pretty draining. 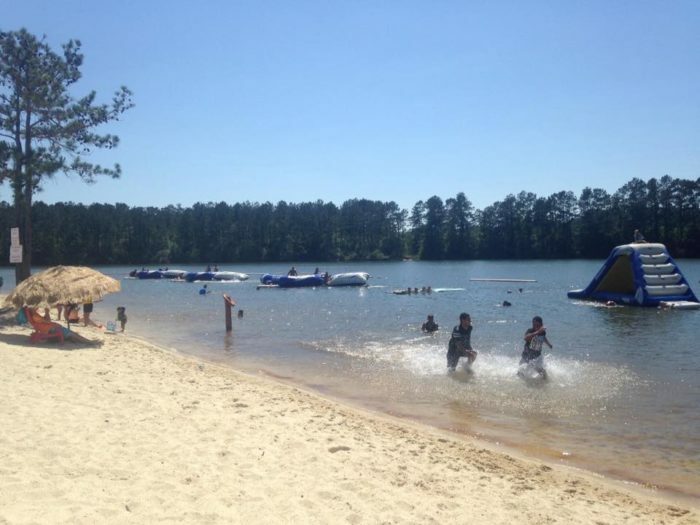 Luckily, there are several waterparks and lakes that are perfect for keeping cool on a hot summer day. 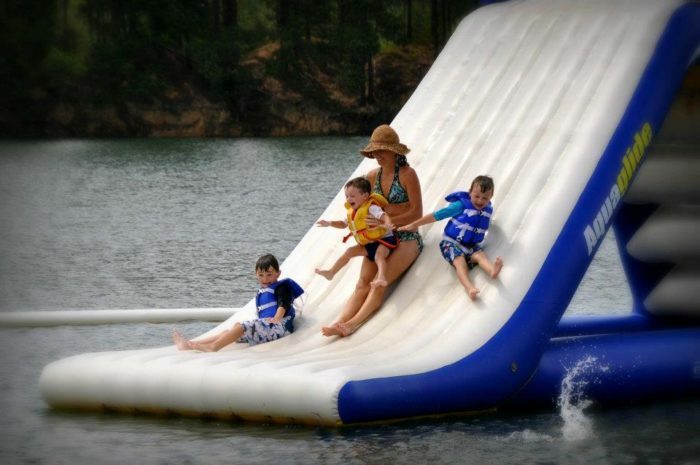 There’s one particular attraction in Louisiana that both kids and adults will love, so let’s take a closer look at what makes this waterpark such a popular summer attraction. 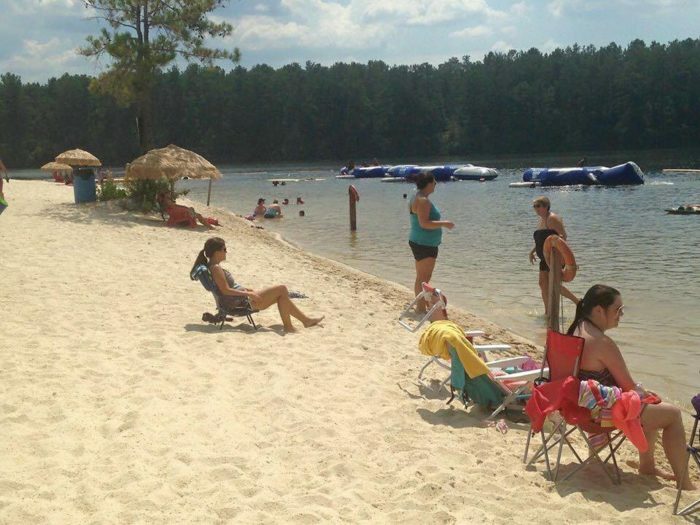 You’ll find White Sands Lake Day Beach in Franklinton, Louisiana. The address is 52129 Sandstone Blvd., Franklinton, LA 70438. 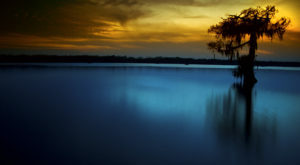 The park sits on a large, spring-fed lake where the water is cool and clean. 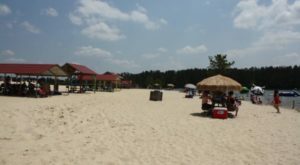 There’s also a white sandy beach that’s perfect for catching some rays and digging your toes into the sand. 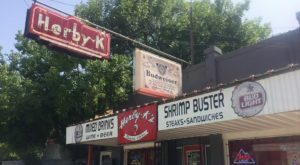 Locals have been enjoying the endless attractions here for years. 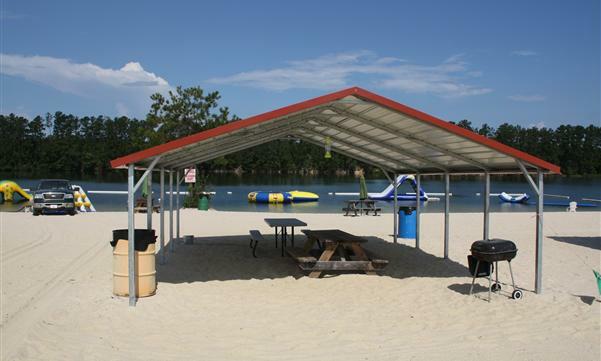 From boat rentals to water trampolines, you’re in for hours of outdoor fun here. The main attraction at White Sands is its epic aqua park. 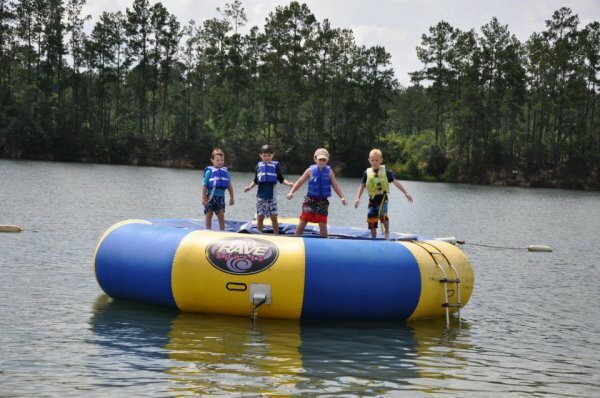 There are water trampolines, slides, an inflatable blob bag, a jungle gym for the little ones, and so much more. 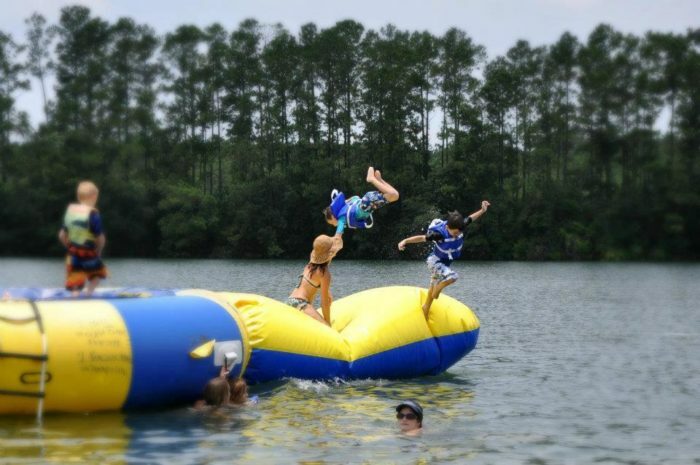 To make sure everyone has a good time and remains safe, some of their water attractions are age restricted. There are jungle gyms for youngsters 11 and under, and trampolines for both younger kids and older adults. Anyone under 12 years of age must wear a life jacket. 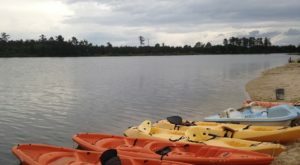 White Sands also has boat rentals so you can explore the lake on your own. 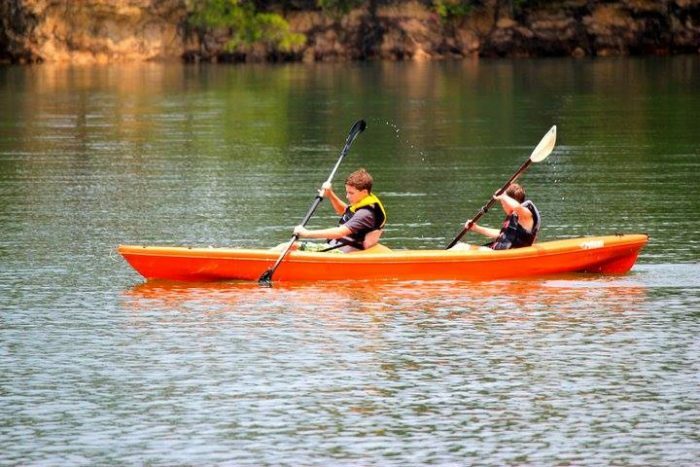 You can rent paddle boats, stand up paddle boards, and kayaks for just $10 per half hour. White Sands is open Tuesday-Sunday from 11 a.m. to 7 p.m.
All-day admission passes are $15 for adults (12+) and $10 for kids (3-10). They also offer season passes and group rates. 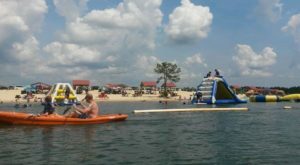 For more information about the aqua park, cabana rentals, tickets, and season passes, check out the White Sands Lake Day Beach website here. 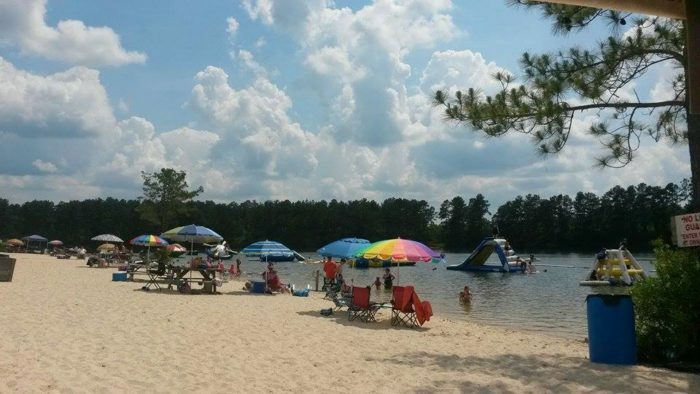 Have you ever been to White Sands Lake Day Beach? Let us know in the comments below! 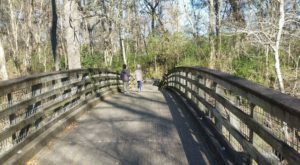 Longing for more fun in the Louisiana sun? 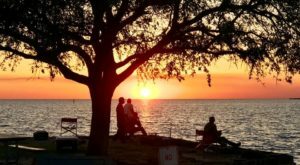 Check out these other 9 stunning beaches and some of the state’s most amazing waterparks!